Solid Basswood is special. Its a soft wood that receives the laser technique with patina results. Your card gets an instant charm and quality. These cards are best for boutique businesses, instant high impact keepsake, and also work well as gift cards. 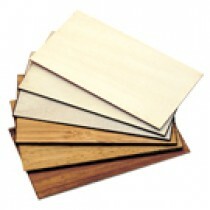 We like Basswood because it also makes a solid wood card, truly sustainable, no engineering. Solid wood cards have a different character, one that almost not definable, or unique. We offer custom cards in a variety of materials including teak, alder, birch and bamboo.Upload your card easy use standard size cards download a template.